The anonymity of cryptocurrencies is a blessing and a curse. One of Bitcoin's major shortcomings is its usefulness in criminal activity. Money laundering, drug sales, and other illegal activities use Bitcoin to evade law enforcement. This makes it hard for legitimate people and businesses to avoid dealing with criminals and their dirty (aka tainted) currency. 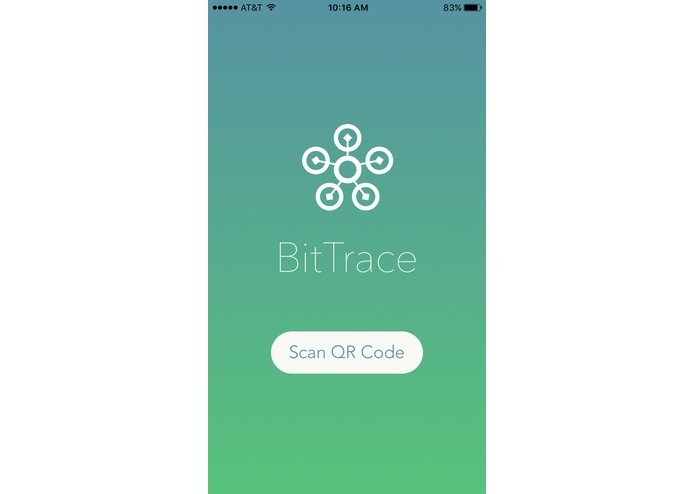 BitTrace analyzes a Bitcoin address's involvement in potentially illegitimate transactions. The concept of marking an entity as 'tainted' has existed for a long time in many cryptocurrencies, but there is no easy way to track the flow of tainted money. When given a Bitcoin address, BitTrace painstakingly scans its transaction history, looking for dealings with tainted addresses. It then scores the target address based on its previous dealings. This allows the community to quickly build a crowdsourced map of bad actors. We built our app in Expo and React Native. It connects to a backend written in NodeJS and Express, which calculates the taint level of a given address. It does this using BlockTrail and BlockCypher. We also maintain a separate MongoDB database of taint values in MLab (hosted in Google Cloud Platform), which allows us to record more detailed data on each address. Our server itself is run on Azure, which we chose for its speed, reliability, and ease of use. We were very inexperienced with React Native and even more inexperienced with Expo. We had no idea how to accomplish simple effects like gradient buttons. Luckily, with the help of Expo's excellent documentation, we were able to overcome most issues. We have a very clean UI. We're proud of the cross-platform compatibility, speed, and reliability we were able to achieve with Expo/React Native. Our algorithm, which is highly optimized for a large network of transactions, is stable and fast. We learned a huge amount about using React Native and Expo. We also learned much about analyzing transaction records on the blockchain. We want to add support for more currencies, like Ether and LiteCoin. We also want to show a more detailed analysis of an address's transactions (we already generate this data, but do not show it in the app).